European Council President Donald Tusk on Wednesday slammed "the capricious assertiveness" of the U.S. under President Donald Trump, asking: "With friends like that, who needs enemies?" Tusk made the comments before a working dinner of EU leaders where the U.S. decision to abandon the Iran nuclear deal and to impose tariffs on aluminum and steel products will be discussed. "Besides traditional political challenges, such as the rise of China or the aggressive stance of Russia, we are witnessing today a new phenomenon: the capricious assertiveness of the American administration," Tusk said. "Looking at the latest decisions of President Trump, someone could even think: With friends like that who needs enemies?" He noted that the EU should be grateful to Trump because "thanks to him, we got rid of all illusions." 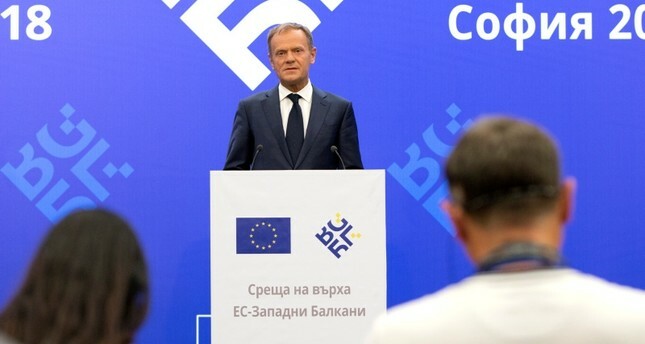 "Europe must do everything in its power to protect, in spite of today's mood, the transatlantic bond," Tusk said. "But at the same time, we must be prepared for those scenarios where we have to act on our own."